Last Friday the misses and I went to a Ring of Honor show in Illinois, detailed in this blog post. TLDClick? It was awesome. This comic is untrue though, the three streamers were actually used on Cheeseburger, The Addiction, and Dalton Castle, though Kevin Kelly most certainly deserves them. By the way, Ring of Honor doesn’t cheap out when it comes to streamers. See this? 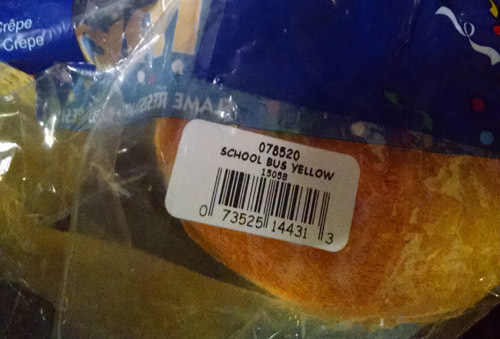 The purest color of yellow imaginable: School bus!